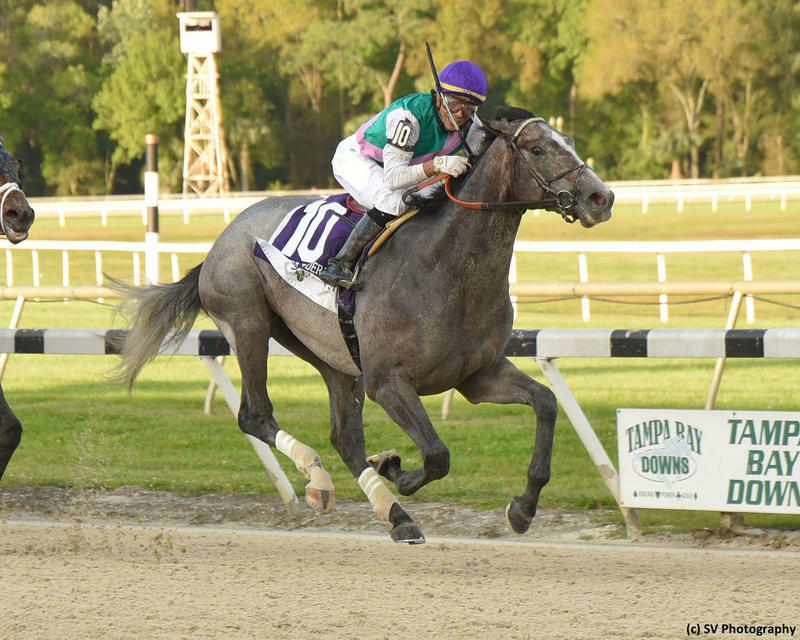 Juddmonte Farms' homebred Tacitus threw his proverbial hat in the Kentucky Derby (G1) ring with a stylish 1 1/4-length score in Saturday's Tampa Bay Derby (G2). The son of Tapit made his sophomore debut a winning one and picked up 50 points on the Road to the Kentucky Derby for his efforts. Tacitus kicked off his career going 1 1/16 miles at Belmont Park in a competitive maiden special weight event. The gray colt was involved from the outset before ultimately finishing a creditable fourth against a very nice field, earning a solid 93 BRIS Speed number in the process. Returning at Aqueduct on November 10, Tacitus gamely came out victorious in a one-mile maiden contest over a "\good" main surface beneath regular pilot Jose Ortiz. The Kentucky-bred made his 2019 debut in the Tampa Bay Derby which was also his first effort going two turns. The sophomore proved that he wants a route of ground in registering a 100 BRIS Late Pace figure off of a four-month layoff. Tacitus is playing catch-up with some of his fellow three-year-olds having just one 2019 outing to this point, and he dons just a trio of lifetime races overall. However, the well-bred colt has class and I came away very impressed in how he raced in between rivals like a seasoned veteran on Saturday. Trained by Bill Mott, Tacitus was produced by a top sire and champion mare Close Hatches, who thrived at longer distances. His pedigree speaks for itself. The sophomore ran with Lasix for the first time on Saturday and he has every right to improve going forward in being so lightly raced. His BRIS Speed figures have to improve and I am not sure how deep the field was that he conquered at Tampa Bay Downs. And he will surely need a big performance in his next prep race to be considered a prime Kentucky Derby candidate. There is not a whole lot missing from the respective resumes of Mott as a conditioner and Tapit as a sire except one major thing, which is a Kentucky Derby winner. If Tacitus vaults forward in his subsequent outing like I expect him to do, then he will be a major player on the first Saturday in May.